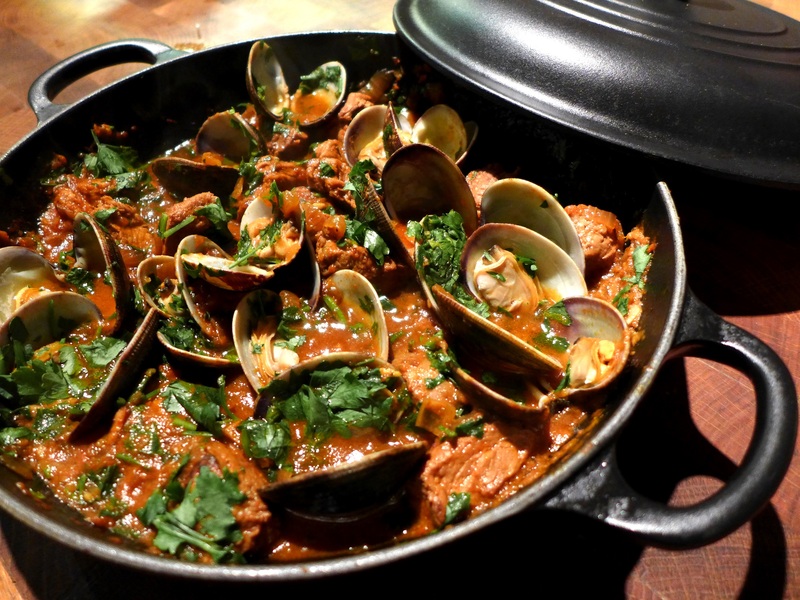 This is my version of the classic Portuguese dish, Porco Alentejana, a succulent mix of pork with clams cooked in a red pepper sauce. It’s a totally different take on surf ‘n’ turf and much more harmonious and subtle than most. It’s a fabulous weekend supper dish. This is traditionally served with fried potatoes, and who am I to mess with tradition? Or try it with good crusty bread to sop up the sauce. The only other accompaniments you’ll need are chunks of lemon to squeeze over it and a green salad. The dish itself is fairly straightforward but you do need some massa de pimentão, Portuguese red pepper paste. 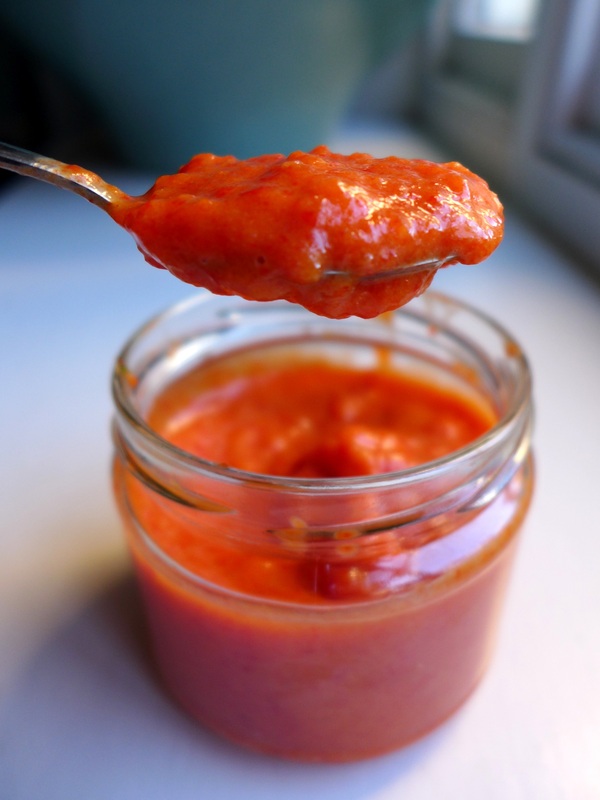 Follow my recipe in the link or buy it ready-made in a jar. I haven’t tried the shop-bought stuff so if you use it, please taste as you go along. You may need more or less than the quantities I give here. Trim any silvery sinewy skin from the pork fillet and cut it into bite-sized pieces. In a bowl, mix together the red pepper paste, crushed garlic and white wine. Add the bay leaves and pork pieces, cover and marinate overnight. Next day, drain the marinade and reserve, brushing off any still sticking to the pork. Pat the meat dry with kitchen paper. Heat the butter and oil in a deep frying pan, one with a lid. Fry the pork until browned all over and set aside. Put the chopped onions in the same pan and cook until softened and golden. Add the tomato puree and cook for a minute or two to remove any metallic taste. Now pour in the reserved marinade, mix well and put the pork back in the pan. Cover and cook gently for about 30 minutes or until tender, stirring occasionally and adding a splash of water if it looks as though it’s drying out. Check the seasoning and adjust if necessary. Wash the clams and discard any that are open or have broken shells. Scatter them on top of the meat, put the lid back on and cook for 6-8 minutes. Throw in the chopped herbs, give them a quick turn to mix in and serve, garnished with lemon. 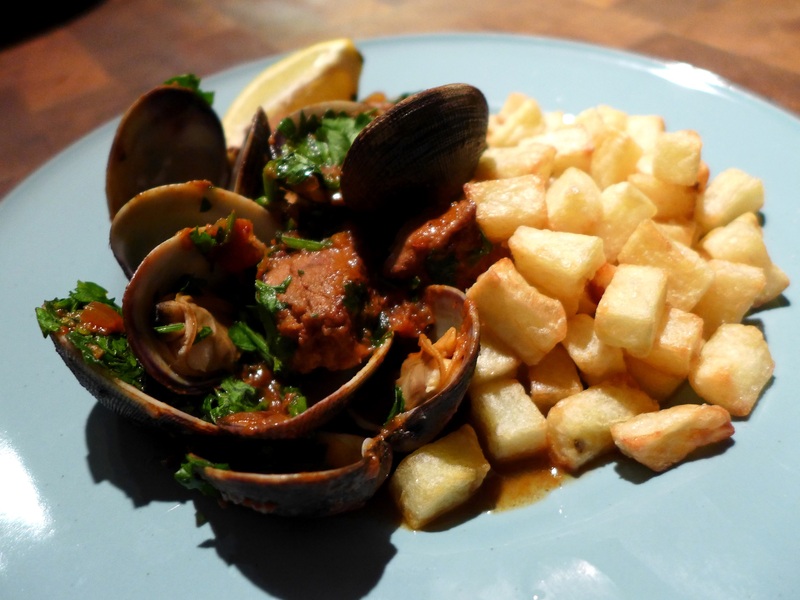 This entry was posted in Fish and shellfish, Mains, Pork, ham and bacon and tagged porco Alentejana, Portuguese pork and clams, Portuguese recipes by Linda Duffin. Bookmark the permalink.